I’d like to introduce you to Kenny. 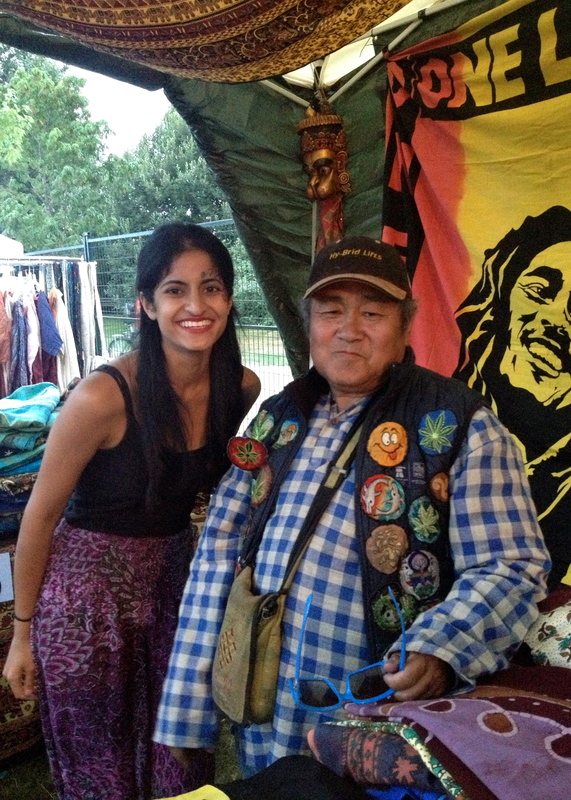 I met him at the folk festival tonight while buying a beautiful tapestry from him at the market. He started singing ‘Stand by Me’ and I sung along with him. I’d say we made for a good duet. He just had to be my stranger of the day. Kenny grew up in Cambodia. He lived a hard life there and faced many difficult times. He even lost a sibling to the army. At one point, he walked all the way from Cambodia to Thailand in three nights and three days. People would ask him how he did it and he’d say “Just listen. Listen and learn.” That’s all it takes. He has found that people who don’t listen carefully often find themselves lost or in danger. “And be polite”, he urged. “It doesn’t matter where you’re from. We are all the same.” Treat everyone you meet with kindness. He’s been living in Vancouver now for almost thirty years. In the wintertime he collects bottles near UBC. In the summer, he helps sell tapestries and is grateful that the owner trusts him with his business. “Trust is the most important thing”, he said.